Buggey, Susan. "Indigenous Cultural Landscape". The Canadian Encyclopedia, 13 June 2016, Historica Canada. 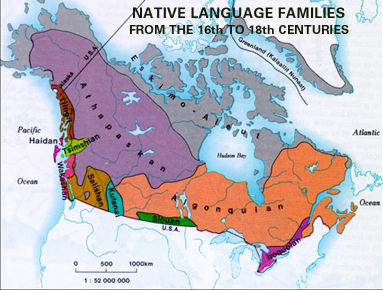 https://www.thecanadianencyclopedia.ca/en/article/aboriginal-cultural-landscape. Accessed 23 April 2019. Traditional knowledge provides the best way of identifying Indigenous (Aboriginal) cultural landscapes. An on-going oral tradition and continuing traditional practices sustain interaction between people and the land. Teetshik goghaa, the location of the old Arctic Red River site, where one can still see the remains of graves, building foundations and the stone chimney that was part of the mission house established by the Roman Catholic Church in 1868. 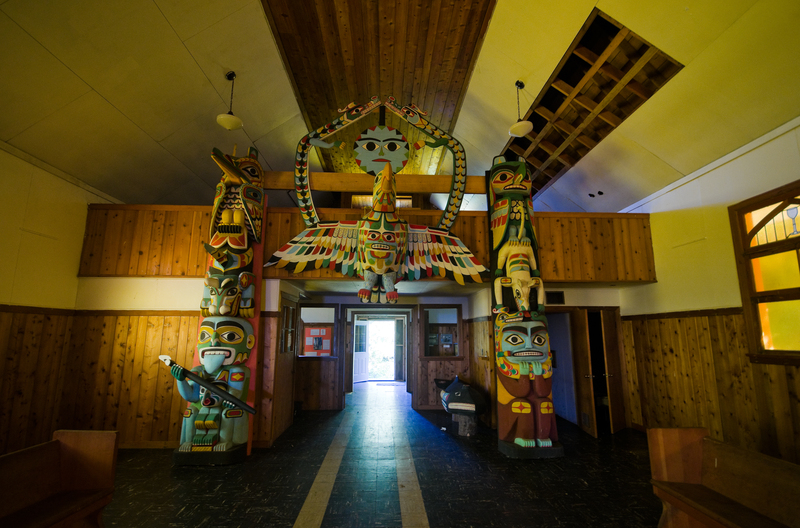 Nagwichoonjik National Historic Site (courtesy Ingrid Kritsch, Gwich'in Social and Cultural Institute). 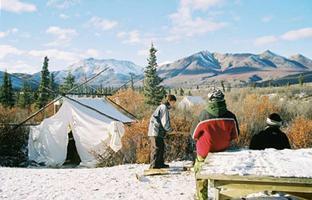 Tr'ondëk Hwëch'in youth at First Hunt (of caribou) camp, October 2003, in Tombstone Territorial Park, Yukon Territory (courtesy David Neufeld). An Indigenous cultural landscape is a living landscape that an Aboriginal group values because of their enduring relationship with that place and its continuing importance to their cultural identity. Reflecting the mobility of traditional life, many Aboriginal cultural landscapes are characterized by a network of routes and places important to the life of a family or group. Intimate knowledge of the area - its landforms, waters, species and spirits - derives from traditional wisdom and sustained observation of weather patterns, water quality, animal behaviour and plant growth while journeying in the seasonal round: following animal movements for hunting and trapping, seeking the best fishing grounds, collecting plants and saps for food and medicine, camping, gathering with kin, and holding ceremonies. Reciprocal relationships with animals, plants and spirits of the area, constructed through long and close association, are reflected in traditional practices. Continuous observation and complex understanding of the area shape evolving land-care practices in response to changing circumstances and technologies. Traditional knowledge provides the best way of identifying Aboriginal cultural landscapes. An on-going oral tradition and continuing traditional practices sustain interaction between people and the land. Locations or features in the landscape with traditional place names, often connected by routes travelled, act as memory tools for stories about a people's relationship with the land. Narratives embedded in the landscape tell of the creation of the earth and its inhabitants as well as the journeys of its lawgivers. From northern Alberta and British Columbia through the Mackenzie Valley to the Beaufort Sea, landscapes embody the exploits of Athapaskan culture hero Yamoria (with variant names), who gave people principles for living and contoured their storied environment. Places of power abound on the land: they link physical and spiritual worlds, consolidate spiritual energy, or threaten with entities that must be appeased, such as the whirlpools of Kitselas Canyon BC (see Tsimshian) and the fishing place at Mnjikaning ON. At Áísínai'pi, AB (see Writing-on-Stone), where others see outstanding rock art, the Niitsítapi (see Blackfoot) experience writings of ancestral spirit beings. Appropriate behaviour and offerings at such sacred sites and places of power show respect; disrespectful behaviour can bode ill for the future. Subsistence plays a key role in understanding how cultural landscapes are intertwined with the historical survival and identity of a people. It is with these values in mind that several Aboriginal groups have selected, in their respective traditional territories, cultural landscapes to be nominated as national Historic sites. For example, the Harvaqtuurmiut (see Caribou Inuit) identified the Fall Caribou Crossing on the Kazan River NU, the Tr'ondëk Hwëch'in (see Hän) nominated Tr'ochëk, a traditional fishing camp at the confluence of the Klondike and Yukon rivers YT, and the Gwichya Gwich'in chose Nagwichoonjik, a section of the Mackenzie River NT. These places figure among thirteen Aboriginal cultural landscapes designated to date as national historic sites. Patterns of human and non-human activity created by travelling, sustainable harvesting, seasonal burning practices to regenerate the land and customs such as dreaming the hunt before it takes place are not visibly inscribed on the land. The most common physical evidences are archaeological resources, but some traditional practices create tangible forms, such as the Haida totem poles of SGang Gwaay (see Anthony Island) BC. 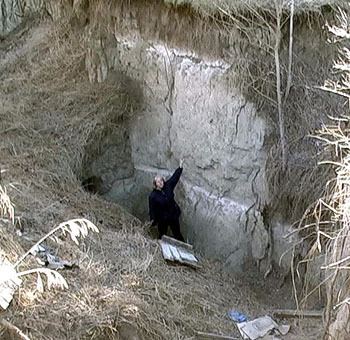 Typically, material culture is minimal - functional, movable and transitory in such forms as gravesites and birch-bark canoe remnants at portages - or it may even be absent. The landscape is "like a book," where locations, features and archaeological remains contain knowledge of teachings, ecology, place-names, stories and practices. Settlement in communities has brought enormous changes to the traditional way of life. Resource development in the North and urban expansion in the South are also impacting the continuity of relationship between people and their traditional lands and values and thus the survival of Aboriginal cultural landscapes. Historically, children learned the land through experience and instruction by travelling with parents, grandparents and elders, but living with the land is no longer a common lifestyle for most Aboriginal people. Elders who grew up on the land, who know it and the stories associated with it, continue the art of storytelling in their own languages, but traditional social structures for transmitting it to youth no longer exist. Renewal of cultural identity and opportunities to experience the land and learn the associated stories and practices give Aboriginal cultural landscapes relevance in contemporary life. Travelling the land in modern vehicles and watercraft, mapping place-names with new technologies, telling ancient and new stories in Aboriginal languages, carrying out traditional practices with school programs, involving youth in all, are significant means of keeping alive Aboriginal cultural landscapes used by many communities today. Thomas D. Andrews, "'The Land is Like a Book': Cultural Landscapes Management in the Northwest Territories, Canada" in Ethnographic Landscapes: Perspectives from Circumpolar Nations (2004); L. Prosper, "Wherein Lies the Heritage Value? Rethinking the Heritage Value of Cultural Landscapes from an Aboriginal Perspective", The George Wright Forum 24:2 (2007), available online: (www.georgewright.org./242prosper.pdf).